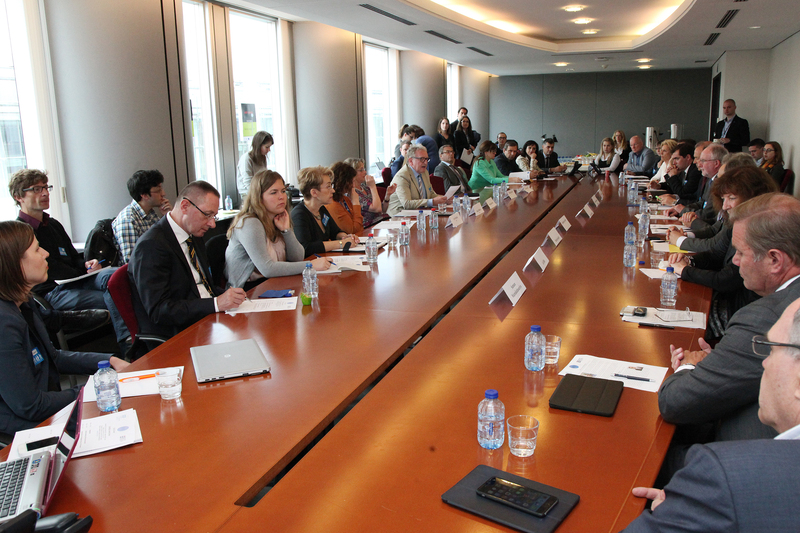 On 23 June, CED together with MEPs Against Cancer (MAC) Group and the European Cancer Leagues (ECL) co-organised a meeting on 'Oral Cancer - Dentists Saving Lives' in the European Parliament. The objective of the meeting was to raise awareness of the importance of early detection and treatment of oral cancer and the role of dentists. The meeting gathered several experts on oral cancer, Members of the European Parliament, representatives of the European Commission, representatives of CED member organisations and various European healthcare stakeholders. The meeting started with opening remarks by MEP Lynn Boylan (GUE/NGL, Ireland) and by the CED President, Dr Wolfgang Doneus. The introduction was followed by an excellent presentation from Professor Saman Warnakulasuriya (King's College London) on early detection of oral cancer and the role of dentists. Patients' perspective was kindly shared by Ms Lia Mills from Ireland. Mr Martin Seychell, Deputy Director-General for Consumers and Health, gave an overview of the European Union action against cancer. The presentations were followed by a panel discussion facilitated by the chair of the CED Working Group Oral Health, Dr Hendrike van Drie. The panel discussion focused on exchange of good practices by representatives of three CED member organisations: Dr Conor McAlister from the Irish Dental Association shared the oral cancer campaign in Ireland; Dr Francisco Rodriguez Lozano representing Spanish Dental Association gave a presentation on national campaign on early diagnosis and prevention of oral cancer in Spain; and Dr Pedro Ferreira Trancoso from the Portuguese Dental Association presented the Portuguese national strategy on "Early intervention in oral cancer project". The meeting finished with closing remarks from MEP Nessa Childers (S&D, Ireland).